As a small business, holidays are a fun time to engage with your customers, fans, and followers through social media. Fourth of July is no exception, and it’s not too late to start. Here are five 4th of July social media ideas to engage with your existing customers and draw in new ones. Yahoo Travel put together a list of the ten top small-town 4th of July celebrations that are worth the journey. 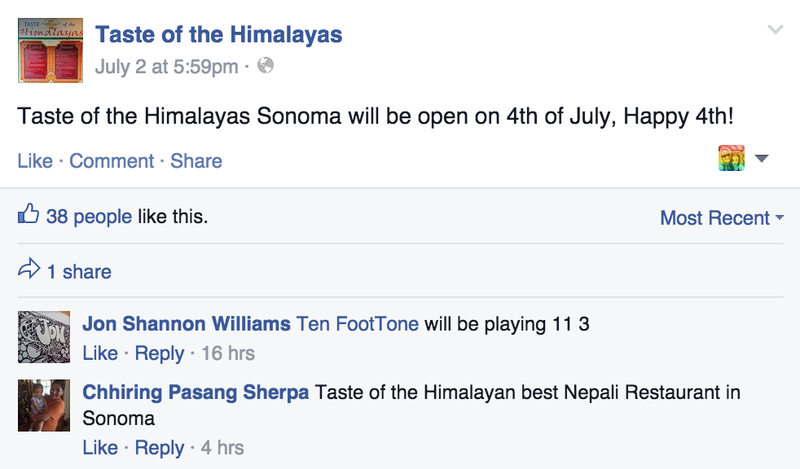 My hometown of Sonoma, California ranked #3. I mention Sonoma from time to time in my posts, but this honor gives me greater “bragging rights” (at least with my Mom). 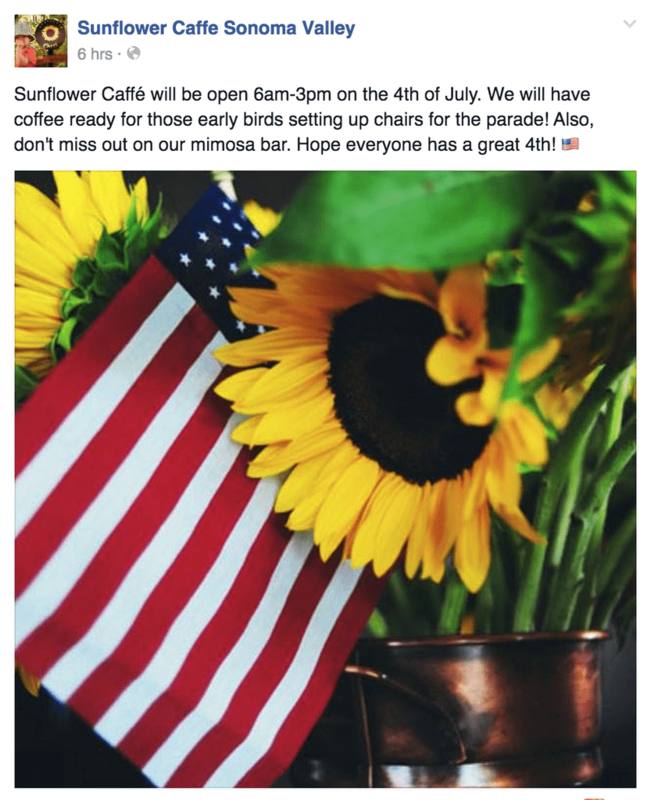 Local businesses, non-profits, clubs, schools, sports teams and community members all jump into the fun to make it a real hometown celebration using various 4th of July social media tactics. 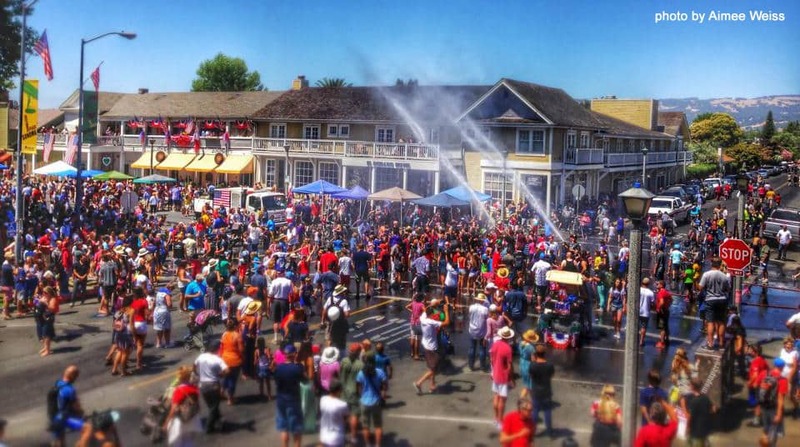 For proof of how fun Sonoma can be, the featured photo in this post was taken at the climax of Sonoma’s 4th of July parade last year where firefighters doused the (willing) crowd with water. Take a look at your local community – is there a charity that makes sense for your business to support? My favorite charity is the Sonoma Valley Education Foundation! This year, the foundation will be marching in the 4th of July parade along with Sonoma Market, a favorite local business. Sonoma Market gives back to the community in numerous ways. 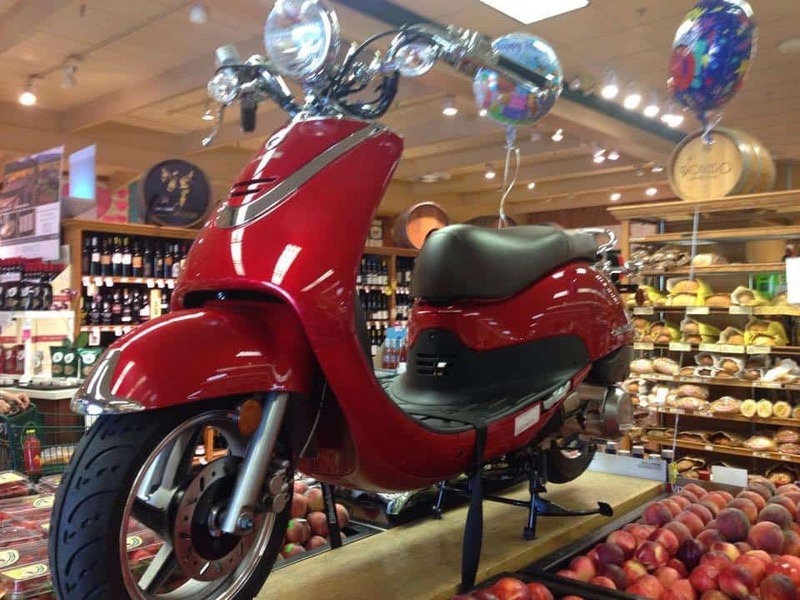 Here’s a recent picture from inside the market where they “happily” sell raffle tickets for this cherry red scooter for the upcoming #redandwhiteballsonoma – one of the foundation’s biggest fundraisers. This is a great way to market your business on a budget while helping a local organization. 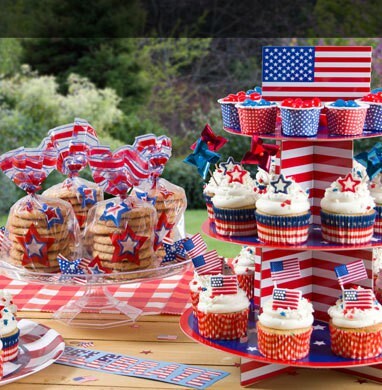 Host a red, white and blue party for your clients and surrounding businesses. 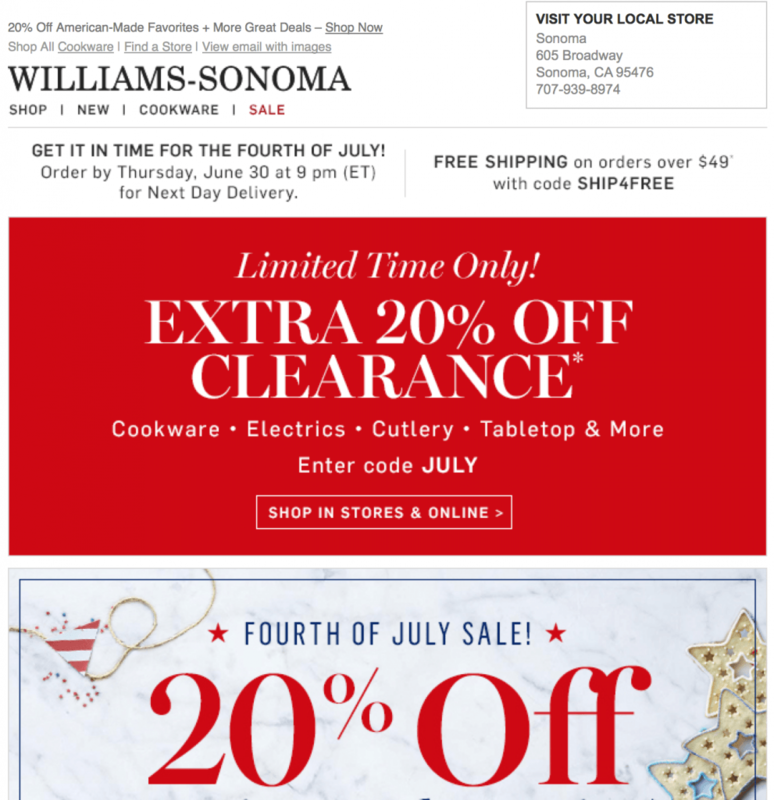 It doesn’t even have to be on July 4th. Take over the parking lot. Encourage your guests to wear their most patriotic ensembles. Have guests vote for the best outfit and offer a prize. What a great way to showcase your business style and flare. Be sure to take a lot of photos to share with your followers on social media. Not only does this represent your business as a fun place to work, but it also showcases the people who make up your company. Encourage your followers to share their photos with your social media community. Or, send out a short Tweet or Facebook post reminding your customers that you are open for business. What a great way to showcase your business, give back to your community and gain some friends. 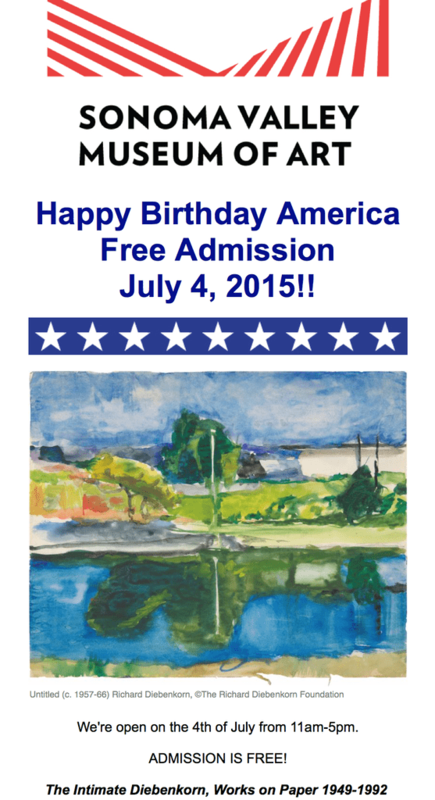 Here’s an example of Sonoma’s local museum offering free admission on the 4th of July for its current Diebenkorn exhibit. 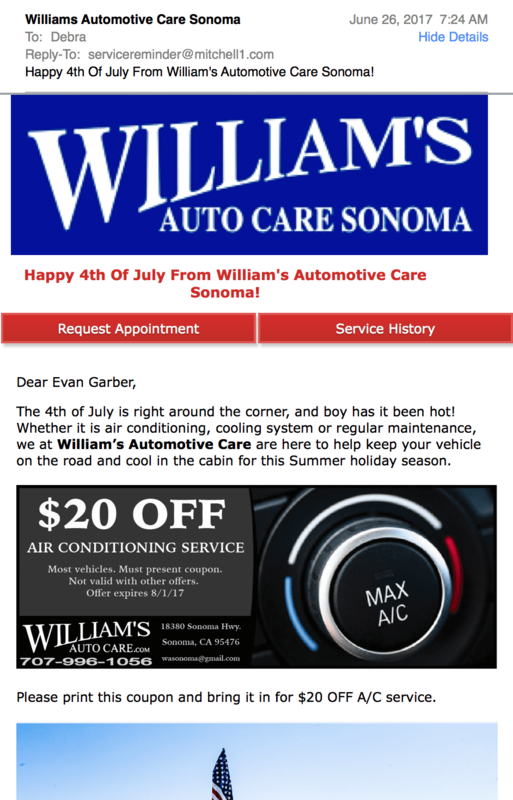 And, here’s an example of an email campaign from a local auto care shop offering $20 off AC repair – just in time for the 4th of July. The 4th of July wasn’t referred to as Independence Day until 1791. In a bizarre, though perhaps, an apt twist of fate, both Thomas Jefferson, and John Adams died on July 4, 1826. The value of American flag imports in 2013 was $4 million. That’s right; we import our own flags. U.S. imported $203.6 million of its $213.8 million worth of fireworks from China in 2013. 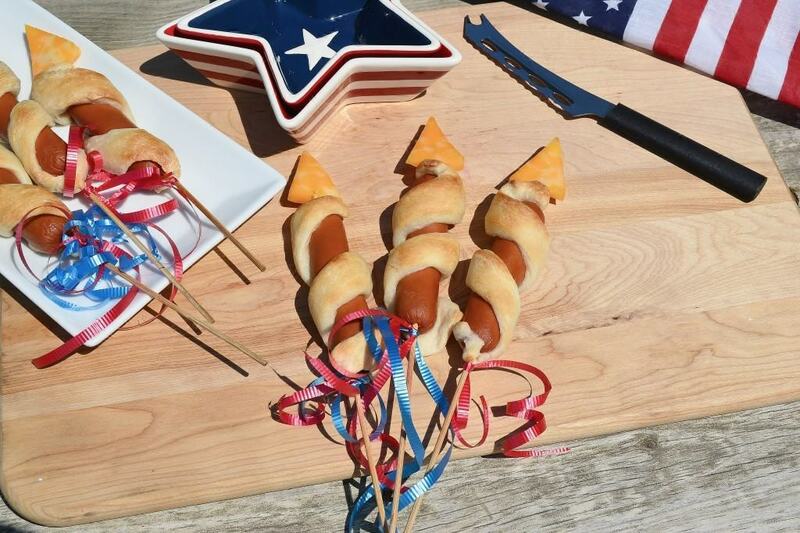 July 4th is the “biggest hot dog holiday of the year,” according to TIME magazine, with Americans reportedly consuming about 155 million of them on Independence Day alone. Benjamin Franklin proposed the turkey as the national bird, but John Adams and Thomas Jefferson overruled him, they wanted the bald eagle. The number of Americans who will spend the holiday at other people’s homes is approximately 41 million. There are a total of 59 places in the U.S. containing the word “liberty” in the name. Many of these are the names of counties, cities, and towns. Or, post crazy recipes to your Facebook page. Here’s one for Rocket Hot Dogs. Remember to have a little fun celebrating the 4th of July. While engagement isn’t everything, it’s critical to give back to your customers sometimes (and not always make it about the sale). Wishing everyone a happy and safe 4th of July! Ready for more social media marketing inspiration? Here are a few more social media success stories to inspire you. And, if you’re planning to go on vacation this 4th of July and want to keep your social media active while you are away – check out the best social media automation services. Would love to hear your 4th of July social media ideas. Share in the comments below.